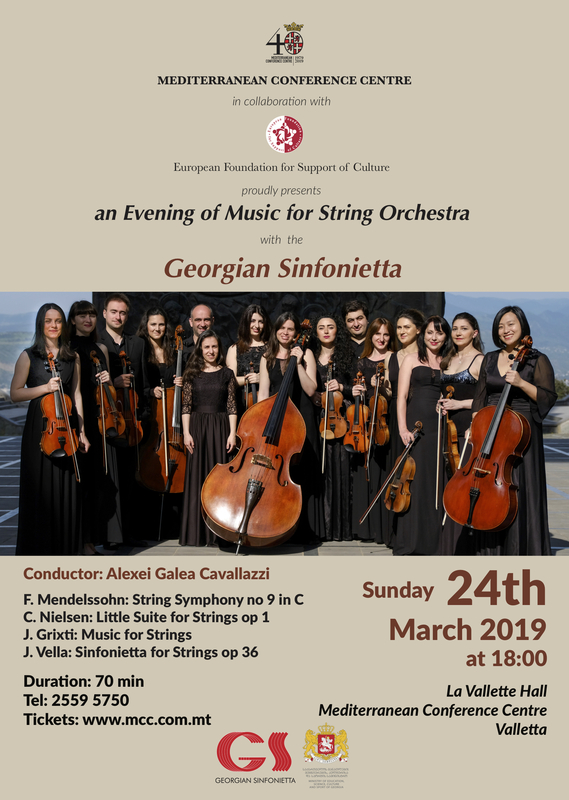 On the 24th of March the European Foundation for Support of Culture, jointly with the Mediterranean Conference Centre would organize a concert of the Tbilisi State Chamber Orchestra –Georgian Sinfonietta. Founded in 2008, the Orchestra aims to deliver most diverse repertoire at the highest artistic level. The schedule of the orchestra includes performances both in Georgia and Europe, as well as regions of Georgia, where the popularization of chamber music has been a great success. During the concert, the orchestra would be perform works by famous Georgian composers as well as pieces by European composers under the baton of the graduate of the University of Oxford and the Moscow State Conservatory, prominent Maltese conductor Alexei Galea Cavallazzi.